Nothing brings people together like the announcement of a new iPhone. It’s like a techie’s Christmas (and ironically, will also probably end up on any good techie’s Christmas list). Whether you’re super into tech news or just into keeping up with the #times, you surely watched yesterday’s Apple Event to see if the new iPhone would be able to wirelessly charge or float (check one of two). But the best place to watch news come in about the world’s most expensive rectangle wasn’t by watching the Apple Event live. No, friends – it was watching the #AppleEvent reactions through Twitter. Here are some of the best Twitter reactions we saw to the Apple Event, iPhone 8, and, spoiler alert if you’re super behind, the iPhone X. Need a sweet new phone case? 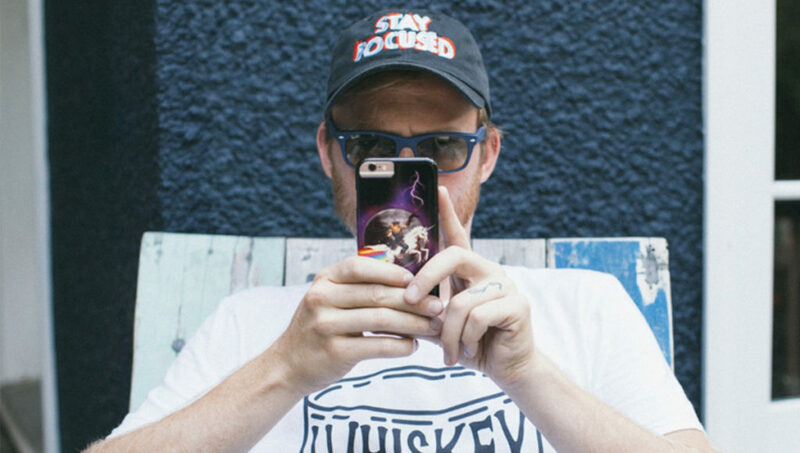 Products in featured image: The hat is “Stay Focused” by Eric Zelinski, the phone case is “Awesome 5000” by Mike Mitchell, and the shirt is “Whiskey on the Rocks” by Agu Luque. Posted in Blog, News and tagged apple event, iphone 8, iphone 8 phone cases, iphone x, new iphone, new phone cases. Bookmark the permalink.